The movement to bring legalized sports gambling to New Jersey received yet another setback last week when Stuart F. Delery, the U.S. Principal Deputy Assistant Attorney General (what a title!) filed papers on behalf of the Department of Justice notifying the U.S. District Court in New Jersey that it will, and I quote, “defend the constitutionality of the Professional & Amateur Sports Protection Act or PASPA”. This latest move by the Justice Department is yet another blow to Gov. Chris Christie and his attempt to make wagering on sporting events legal in the state of New Jersey. The idea was to offer sports betting legally at Atlantic City’s Casinos and at Horse Race Tracks around the state. 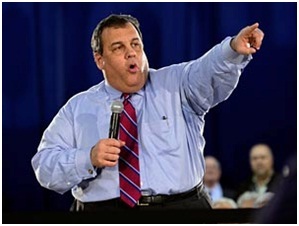 Christie signed legislation last January legalizing sports wagering in the State of New Jersey. 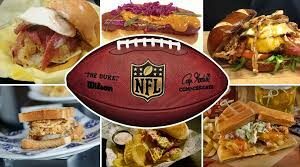 The original plan called for everything to be up and running before Super Bowl XLVIII, however, one objection after another has come up including a lawsuit from the NFL, NBA, NHL, MLB & the NCAA seeking to block Christie and his legalization plan. The state filed to have the suit dismissed but U.S. District Judge Michael Shipp ruled that the leagues have “standing to file the suit because expanding legal sports betting to New Jersey could negatively affect perception of their games”. Governor Christie now has his eyes set of the NCAA Basket Ball Tournament known as “March Madness”. Once again, the odds are not in his favor. Spokesmen for legalizing sports wagering in the state are arguing that PASPA is unconstitutional because it allows only four states….Nevada, Delaware, Oregon and Montana to offer legalized sports gambling. No fair, they say. “The federal government’s involvement does not change the constitutional argument of PASPA,” New Jersey State Sen. Ray Lesniak told The Linemakers on Sporting News last week. It will be interesting to see what moves the DOJ will come up with that the leagues have not already put into motion. Many wonder if the feds got involved just to backup the leagues or do they have something altogether different to add. Oral arguments are scheduled to start on Valentine’s Day in Trenton, N.J.
“We are confident in our position and look forward to defending our statute”.